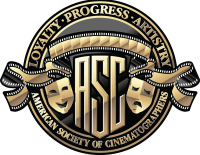 As Chair of the American Society of Cinematographers (ASC) Technology Committee, I am honored and delighted that our ASC Technology Commit- tee has been invited for the third consecutive year to provide a progress report for the SMPTE Motion Imaging Journal. The ASC greatly values our long-standing relationship with SMPTE that dates back to the days before the “T” was added to SMPE. More recently this historic collaboration has taken on renewed importance with an increased sense of urgency as the relentless advance of digital imaging technologies continually impacts motion picture production, post-production, and distribution workflows. This juggernaut of digital technology development continually presents filmmakers with “disruptive” new challenges in their attempts to effectively and efficiently manage and control their images within complex workflow processes. For example, effective “look management” for cinematographers has proven especially problematic as sophisticated single-platform digital imaging tools and technologies within Digital Intermediate provide powerful new options for image manipulation that are not routinely available to the cinematographer during postfinishing and not necessarily compatible with proprietary “on-set” applications. In response to this dilemma, the ASC Technology Committee developed the now widely adopted cross-platform ASC CDL (Color Decision List) which we anticipate will be passed on to SMPTE for standardization. Also, I should reference another noteworthy achievement in image workflow management: the recently released version 1.0 of A Standard File Format for Look-up Tables (LUTs) which was initiated as a joint project between our ASC Technology Committee and the Academy of Motion Picture Arts and Sciences Science and Technology Council. As our ASC Technology Committee reaffirms its mission for this sixth year of our existence in the era of digital convergence with film, we have added two new subcommittees and a new working group that are addressing important new developments in the hybrid digital/film motion picture production workflow: Previsualization, 3-D Stereoscopic Imaging and the Data Mode Workflow task force, all of which have contributed reports on their activities for this ASC Technology Committee Progress Report.